The End of the Jumbo Jet Airplanes? Aircraft manufacturers Boeing and Airbus has reported decreasing sales for their super jumbo aircraft, Boeing 747-8 & Airbus A380. The numbers has actually been so bad that there is a risk that production will cease. Read on and I will try to explain the situation. Emirates Airbus A380 in the air. United Airlines Boeing 747. Photo courtesy of United Airlines. Boeing took everyone with storm when Pan American Airways (aka Pan Am) introduced the Boeing 747 on their New York – London route in 1970. The airline´s founder, Juan Trippe, is supposed to have stated “… a great weapon for peace, competing with intercontinental missiles for mankind’s destiny” during the contract-signing banquet in 1966. He was right because this huge aircraft helped make air travel affordable for the public, making the world reachable in a way it wasn´t before the Jumbo Jet era. The Boeing 747-100 (first version) was priced at US$ 24 million in 1967 and if you are in the market to buy a Boeing 747-8i (latest version 2014), it will set you back about US$ 351 million today. During its lifespan several different versions has been introduced, all with the significant hump on their backs. The most uncomfortable must have been the Boeing 747SR (short range) favoured by JAL and ANA who operated it on domestic routes in Japan with up to 456 passenger seats. The 747SR was followed by 747-400D (domestic) with a maximum seating for 624 passengers! 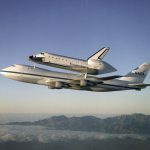 Numerous cargo versions of the plane has passed and the most spectacular is probably The Shuttle Carrier aircraft which carried to prototype space shuttle Enterprise approach and landing tests. The most famous Boeing 747 is without a doubt Air Force One. US Air Force actually have 2 presidential Boeing 747s and the name is referring to the call sign for the aircraft carrying the president. The Boeing 747 was unrivalled as the world´s biggest passenger jet until 2007 when Singapore Airlines introduced the Airbus A380 in October. Depending on the airline, seating capacity with a 3-class (First Class, Business Class and Economy Class) configuration is between 407 – 526 passengers. In a 2-class configuration (First or Business Class and Economy) it will hold 624 passengers and in 1-class configuration a whopping 853 passengers! Boeing responded with the Boeing 747-8i. The 8 uses the same engine and cockpit technology as the 787 Dreamliner and this is where the 8 comes from. The “i” in the name is for intercontinental and is designed to carry 467 passengers in a 3-class configuration. First aircraft of this version was delivered to Lufthansa in 2012. I could have written a lot more about these gigantic airplanes, but I am trying to keep it as short and sweet as possible. 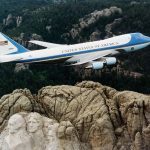 If you want to learn more I recommend Wikipedia´s pages about Boeing 747, Airbus A380 and Air Force One. Both Boeing and Airbus were anticipating that airports would become more and more congested in the future and that airlines would be interested in transporting more passengers in a single movement, reducing the need for expensive slots at popular airports. Air Force One over Mt Rushmore. This is probably one of the most well known planes in the world. Photo from Wikipedia. NASA used the Boeing 747 as a “Shuttle Carrier Aircraft” for landing tests for the space shuttle. Photo from Wikipedia. Current Situation with the Jumbo Jets. During 2014 media reported decreasing sales for both Boeing 747 and Airbus A380 and production targets were revised at several occasions. Airbus sales expectations were 1200 A380s at this point in time, but have only sold 318 and have not sold a single one so far this year. The situation for Boeing is similar with only 51 orders for 747-8i with Lufthansa as their biggest customer. Compare 51 sold 747-8i with almost 1000 sold 787 Dreamliner since introduction! During third week of December both airplane manufacturers announced that production of their largest jets might cease in the future. If this is the truth or a way of putting pressure on customers is not known, but it could be a fact. An end of production statement can make a prospect actually place the order, but can also turn them in another direction, because an aircraft model that is out of production is not hot on the market. 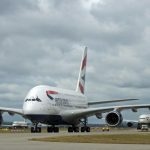 Why aren’t Boeing 747 and Airbus 380 Popular with Airlines? A fully booked Jumbo Jet with passengers paying good money in every seat is a money maker for the airline. 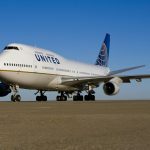 If it is not full, the operating airline will have to spread the cost of 63,000 gallons of jet fuel, about 200,000 US$, on the remaining passengers. 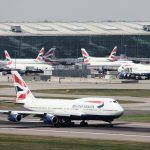 In today´s highly competitive market the business traveller does not want only one flight a day between New York and London, the business man or woman wants several departures to choose from which justifies more flights with smaller airplanes. This means that they are too big for most markets and Alexandre de Juniac, Chairman and CEO of Air France, have stated that “it is an excellent plane with limited number of destinations”. 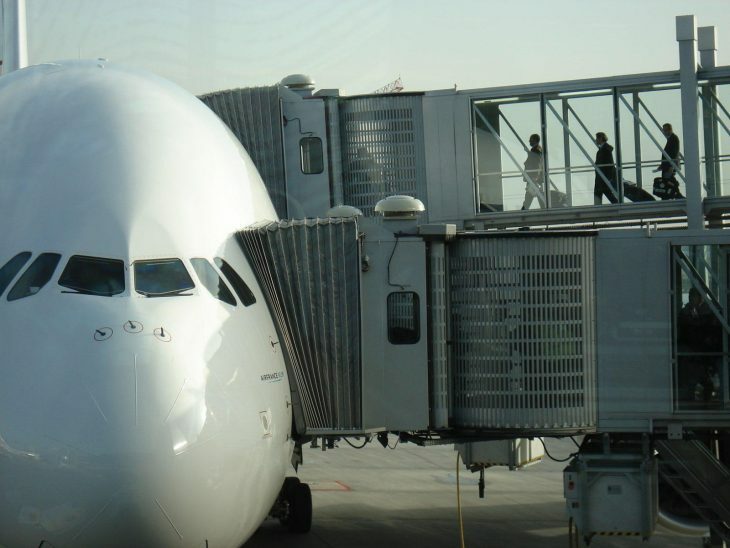 Air France might cancel 2 of their 12 A380s on order. Except for giving the opportunity to increase the number of passengers at slot intense airports there are no incentives to fly such a huge plane. The Boeing 787 have a lower per passenger operating cost and also considered a bit more versatile. Is this the end of the Jumbo Jet? Planes are usually kept in service for about 30 years, so there will be plenty of more opportunities to fly the Queen and the King of the skies, even if production ceases in 2018. It would be sad to see them go out of production, especially the Boeing 747 which has flown for 45 years. If you want to see a stunning video with aerobatics by the Boeing 787 at Farnborough Air Show, please click here. 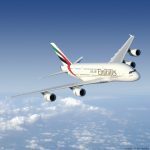 EDIT 2019-02-14: CNN confirms that Airbus will stop producing the A380. Do you have questions or experiences in expeditions you would like to share? Please let me know on Twitter, on Facebook or in the comments below. Introducing our woman on Bali – Karin Tydén.